Foundation is something I have worn for years and years. I'm very lucky with my skin and have rarely had any bad cases of spots or acne but I still love the even, clear look foundation gives my face and I'm a make-up junkie so really... what do you expect?! Over the years I have gone through bottle after bottle of the stuff and tried out more foundations than I can even think of! I get alot of questions both online and in real life asking me what foundation I use so here are my 3 favourites which are what I wear 99.9% of the time! Just a quick FYI..... I do like a full-coverage foundation, so if you're into more of a tinted moisturiser or BB Cream these may not be the products for you! This is the foundation which made me fall in love with foundations. I have probably been using these stuff since I was about 17 or 18 (about 7 years!) and I still love it as much as when I first bought it! I know this is so many of your favourites too from what I've read in the #bbloggers chats on Twitter! It is great for everyday make-up and also heavy enough for a good old night out aswell, it has a lovely silky smooth feel and is so easy to blend in! Until I found the other 2 foundations featured below this was the only foundation I had used for years - mostly being too scared to try something new as I didn't think it would be as good! 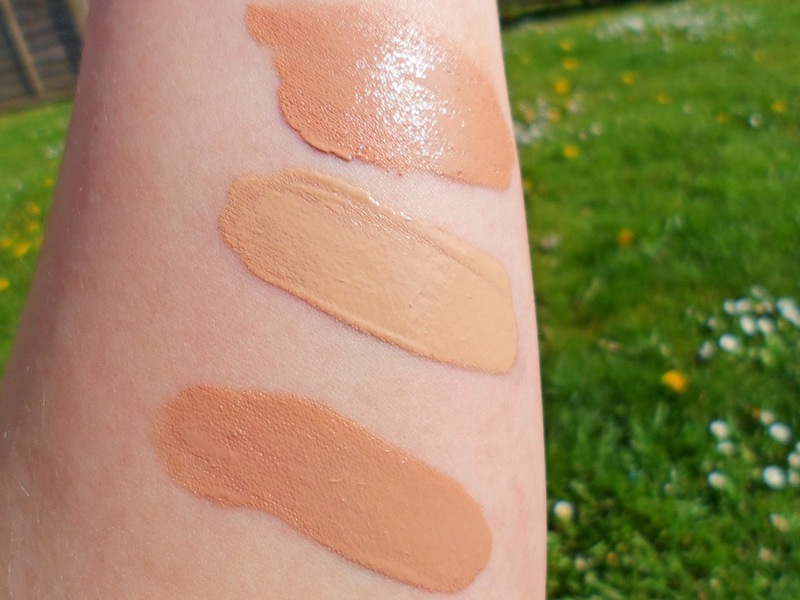 I usually buy in shade N4 (although I think this is a little dark for me at the moment) - if you are just getting into foundations and want to try something I little more full coverage I highly recommend this stuff, they have a great range of shades too so hopefully there is something for everyone and it is only £9.99. Since trying it I haven't looked back and it has been firmly in my everyday make-up ever since! 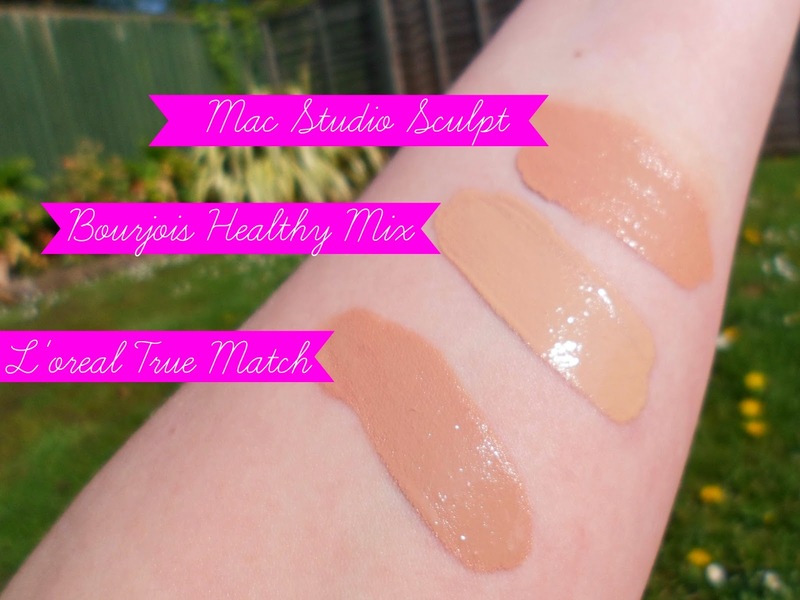 Great coverage like the True Match foundation this stuff gives such a gorgeous glow to the skin giving you such a radiant finish - it really does live up to its 'healthy' name! This stuff has great lasting power and it is fab if, like me, you want to even out your skin tone! Now for something slightly more pricey and actually a foundation I only wear for a night out or big occasion. Because I was so tanned for being in the sun in Florida for over 2 weeks none of my make-up matched my face anymore so I was actually using bronzer as a face powder so wanted to get a new foundation to match my amazing tan and this is what the lovely lady gave me! Obviously I fell in love, such a perfect high coverage base in my opinion and this is a priced possession of mine. Since then obviously I have had to buy it in a couple of other shades (tan's don't last forever) and this is the stuff I use every time I go on a night out or if I want to have my make-up a little heavier. For me I couldn't wear this stuff daily as I think it's a little thick for me to have on everyday (espically at work, it seems pointless) .... and well, I could not afford to do that too! This stuff is £25 for 40ml, but a little does go a long way and I am always happy to pay that when it is such a great product! The shade I use at the moment is NC25. 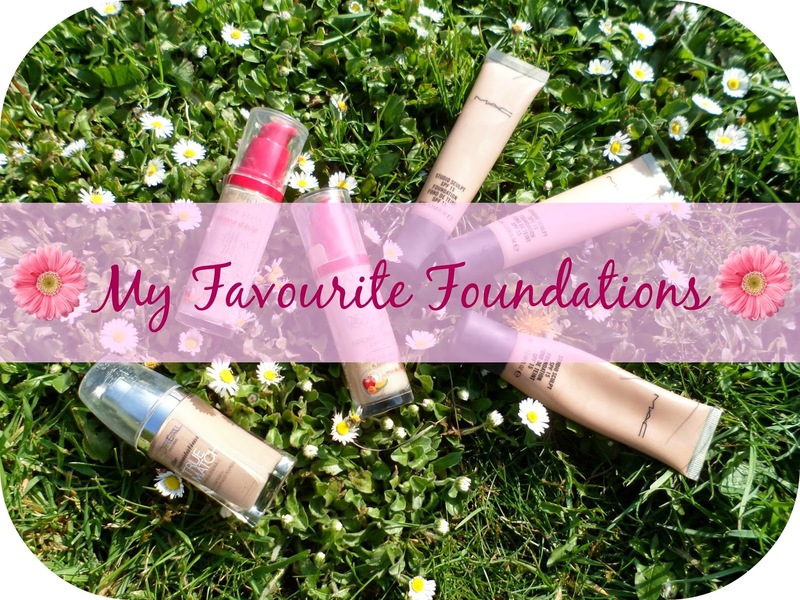 So there we have it, my favourite foundations! Have you used/do you use any of these? What are your favourites? It would take alot for me to change from these now I feel - they are perfect for me! I don't really have a favorite foundation, I like to try different ones! Bourjois Healthy Mix & Healthy Mix Serum are my go-to foundations......they just never fail! I'm also quite fond of the Body Shop Mineral liquid foundation too. I think I still haven't found my holy grail foundation but I love MAC Studio Sculpt and will have to splash out and re-purchase it!